To celebrate the release of Heidi Parton’s newest single, “The Very Thought of You”, Lula 1892 caught up with her to chat about life, love, and exactly what music means to her. To listen and download her newest single, please visit her website-we’re already hooked! 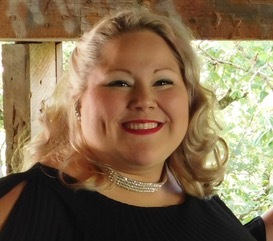 Heidi Parton grew up with music in her blood. You may recognize her last name; the Parton family as a whole is no stranger to the country music industry. Parton grew up on stage with her father, a performer at his sister’s Dollywood theme park. At the ripe old age of four Heidi had memorized her father’s entire set list. From then on, Parton performed with various members of her family at Dollywood, on holiday specials, and at the Hat House Café. Heidi Parton, however, is blazing her own trail in the industry with a soulful, smooth sound. Her genuine love for and deep knowledge of music shines through in her EP This Kind of Love, released last October. We had the chance to learn a little bit more about her career and where she hopes to go from here. Parton also touched on the rich love that can be found in the industry. “Country music to this day still runs deep with love; even in the hardest of times you can turn on country radio and feel the deepest roots of a love story. For me, love makes the world go around. I want to be that artist that when you go to someone’s wedding, my song is the one they walk down the aisle to.” Parton’s newest EP, This Kind of Love, is chock full of songs that celebrate this particular heritage. A collection of love songs that range from Gospel originals composed by her family to Dusty Springfield’s “Son of a Preacher Man”, Parton describes her album as a “collection of inspirational songs that will speak to people in every type of relationship, from a romantic one to a Godly one”. In addition to her EP, released last October, Parton has just released a new single in honor of one of her good friends. “I am very excited about my new single! A friend of mine asked me to be the maid of honor at his wedding and I wanted to do something special for them. I didn’t know what that would be and then I was watching a movie when a character began humming “The Very Thought of You” and I just knew that it was something I had to do. Soon after I got the idea, I went into the studio and recorded it, and it was actually my friend and his partner’s first dance at their wedding! I wanted people to enjoy a song I recorded for someone very near and dear to me.” “The Very Thought of You” has been a favorite for many musicians throughout the years, and we particularly love the inspiration behind Parton’s rendition; it harkens back to her desire to fill her music with love, joy, and community. For more information on performances and new music, please visit Heidi’s website, or pop on over to her Facebook, Instagram, or Twitter-and don’t forget to check out her new single, available today!